Justin Moorhouse is an award-winning comedian, actor and broadcaster. As an actor Justin played ‘Young Kenny’ in Peter Kay’s Phoenix Nights. Other TV/Film credits include Ken Loach’s ‘Looking for Eric‘, Max and Paddy’s Road To No-Where and Shameless. In 2015, Justin was reunited with his Phoenix Nights cast as he performed in the sell-out 15 night run of ‘Phoenix Nights Live’ at Manchester Arena. In 2016 Justin performed his new show, People And Feelings, at the Edinburgh Festival. Justin was a regular presenter on Key 103 for over a decade. He’s written and starred in two series of his own Radio 4 sitcom ‘Everyone Quite Likes Justin’ and often appears on Radio 4’s ‘The News Quiz’. Moorhouse is a regular guest on TalkSPORT, as well as contributing regularly to both Shaun Keaveny’s Breakfast Show and Radcliffe & Maconie on 6 Music. He continues to be in regular demand on Radio 5 Live’s Fighting Talk. As a comedian he has performed around the globe, touring in Australia, China, Japan and the Middle East. At the 2017 Chortle Comedy Awards, Justin was awarded the title ‘Compere of the Year‘. 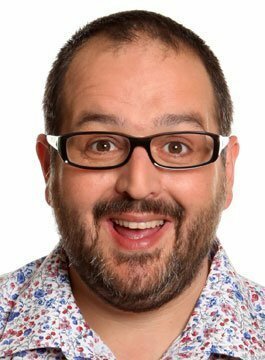 Justin Moorhouse is a popular choice for corporate events performing after-dinner comedy sets or acting as an awards host.